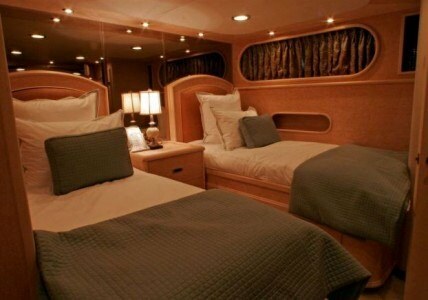 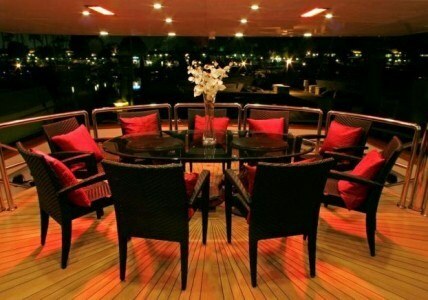 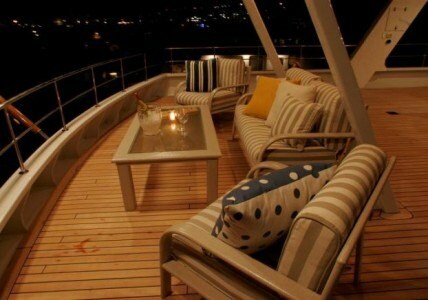 otor yacht LEIGHT STAR has accommodations for up to 10 guests sleeping in 4 Double and 1 Twin cabin. 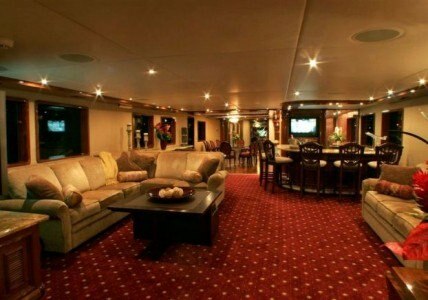 Her Master cabin located on the main deck forward has a King sized bed, a 40�flat screen television, a Fireplace setting, His and hers cedar closets and an office with a 32 inch flat screen TV. 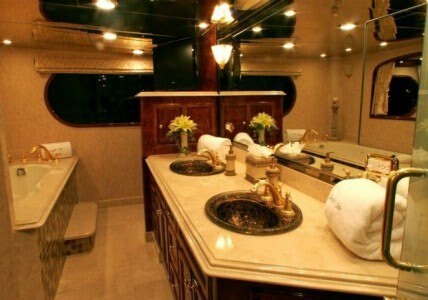 The amazing en suite has 2 copper sinks, a Jacuzzi tub and a private shower & toilet plus a 25 inch flat screen and heated marble floors. 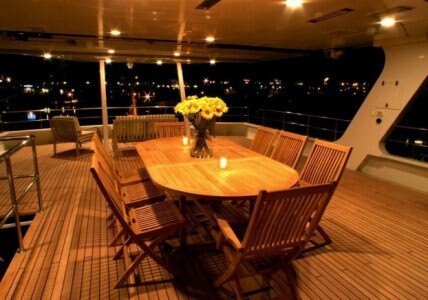 All remaining guest cabins are below Amidship and include 3 Queen cabins and one twin cabin each with a 25 inch flat screen TV and en suite.